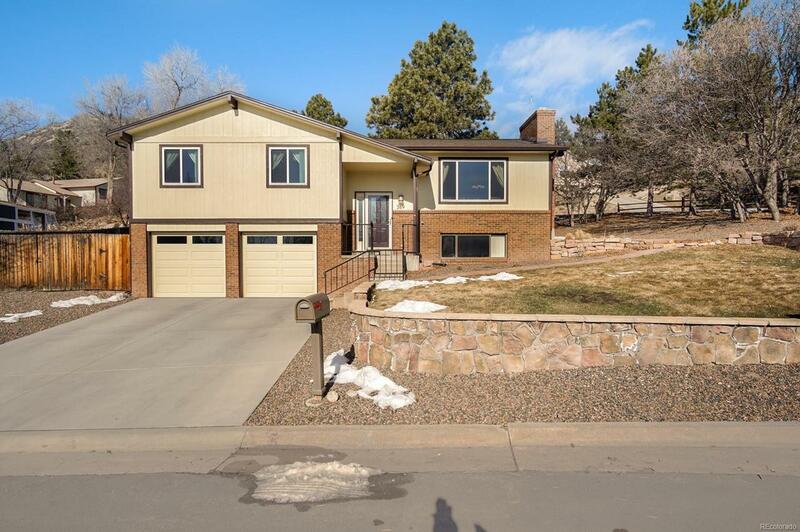 Bi-level home on a quiet cul-de-sac with beautiful views of the valley. 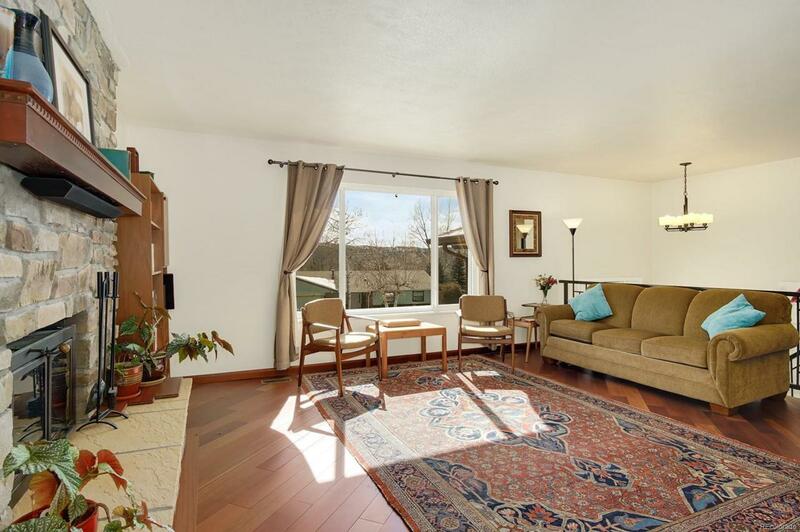 Recently updated and remodeled in a very thoughtful manner that is consistent throughout the home. Beautiful new Brazilian Cherry hardwood floors run throughout the main floor on a diagonal creating a unique and open space. 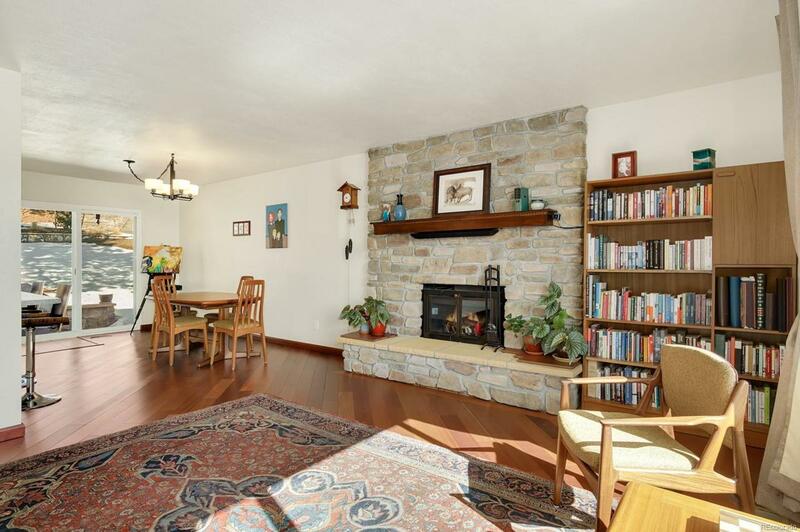 Custom stonework around the cozy wood burning fireplace and a custom mantle in the living room. Updated kitchen has new stainless steel appliances, a peninsula with counter seating & a pantry. Gorgeous custom designed and built stair banisters add even more character to the home and lead to the finished lower level. Additional updates: new H-E double pane windows and sliding doors, roof, furnace, AC, fresh paint, siding, & water heater. Lush backyard is perfect for outdoor entertaining and boasts professional landscaping and stonework, a Wifi controlled sprinkler system & a patio. 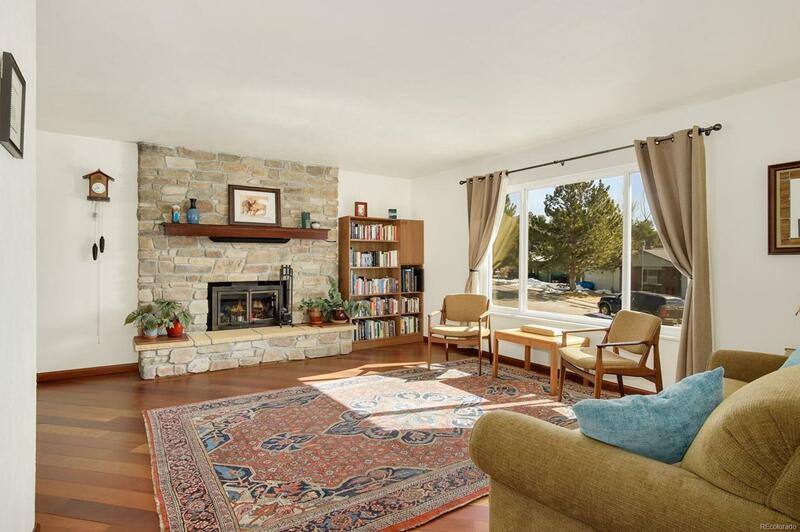 Wonderful location close to Castle Rock's downtown and walking distance to parks & pools.